Shirt week – Marianne Vos edition! To celebrate the launch of the 100 limited edition Marianne Vos Liv/Giant Envie Advanced bikes, there are, apparently, 300 of these special Envie Liv kits, with the Vos logo on them. I’d love to tell you how you can get your hands on the bikes and the jerseys, but try as I might, I can’t find any information! But watch Vos talk about the bike, and find out more about the general Envie Advanced range, and read about the launch. 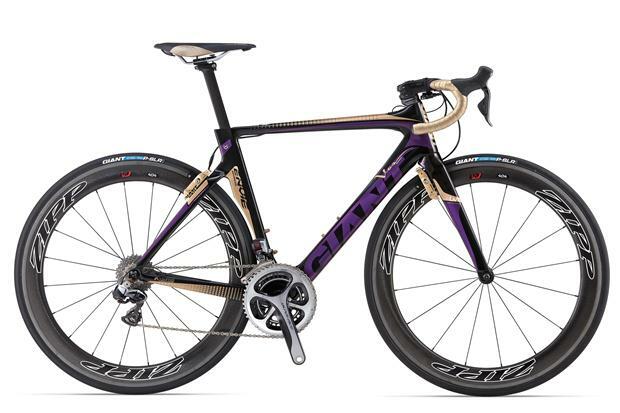 If you can’t buy that jersey, there’s still a way to look like Vos on the roads…. 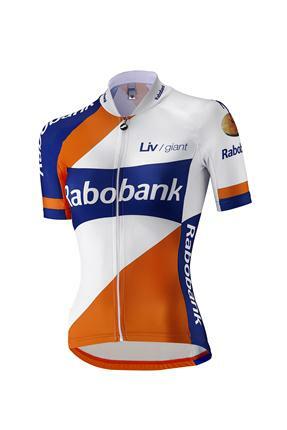 On the Dutch site, the 2013 Rabo-Liv/Giant team jersey is €119.95, and comes in a women’s version only – and they have a range of other women’s cycling jerseys and clothing (“dames” is Dutch for women’s) down the lists – here are the women’s jersey shops from the UK/Ireland, USA (floral!) and Australia, but there are country-specific shops, pick yours from the drop-down menu at the top of the site).